The times they are a changin’ for baby boomers. The generation that lived through and influenced the revolution in the retirement industry is now poised to begin withdrawing money from their retirement-saving vehicles — namely IRAs and/or employer-sponsored retirement plans. If you were born in the first half of 1946 — you are among the first baby boomers who will turn 70½ this year. That’s the magic age at which the Internal Revenue Service requires individuals to begin tapping their qualified retirement savings accounts. 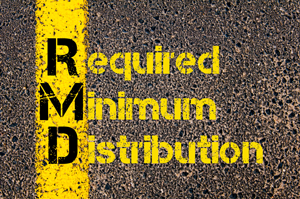 While first-timers officially have until April 1 of the following year to take their first annual required minimum distribution (RMD), doing so means you’ll have to take two distributions in 2017. And that could potentially push you into a higher tax bracket. This is just one of the tricky details you’ll have to navigate as you enter the “distribution” phase of your investing life. Here are five more RMD considerations that you may want to discuss with a qualified tax and/or financial advisor. RMD rules differ depending on the type of account. For all non-Roth IRAs, including traditional IRAs, SEP IRAs, and SIMPLE IRAs, RMDs must be taken by December 31 each year whether you have retired or not. (The exception is the first year, described above.) For defined contribution plans, including 401(k)s and 403(b)s, you can defer taking RMDs if you are still working when you reach age 70½ provided your employer’s plan allows you to do so AND you do not own more than 5% of the company that sponsors the plan. You can craft your own withdrawal strategy. If you have more than one of the same type of retirement account — such as multiple traditional IRAs — you can either take individual RMDs from each account or aggregate your total account values and withdraw this amount from one account. As long as your total RMD value is withdrawn, you will have satisfied the IRS requirement. Note that the same rule does not apply to defined contribution plans. If you have more than one account, you must calculate separate RMDs for each then withdraw the appropriate amount from each. Taxes are still due upon withdrawal. You will probably face a full or partial tax bite for your IRA distributions, depending on whether your IRA was funded with nondeductible contributions. Note that it is up to you — not the IRS or the IRA custodian — to keep a record of which contributions may have been nondeductible. For defined contribution plans, which are generally funded with pretax money, you’ll likely be taxed on the entire distribution at your income tax rate. Also note that the amount you are required to withdraw may bump you up into a higher tax bracket. Penalties for noncompliance can be severe. If you fail to take your full RMD by the December 31 deadline on a given year or if you miscalculate the amount of the RMD and withdraw too little, the IRS may assess an excise tax of up to 50% on the amount you should have withdrawn — and you’ll still have to take the distribution. Note that there are certain situations in which the IRS may waive this penalty. For instance, if you were involved in a natural disaster, became seriously ill at the time the RMD was due, or if you received faulty advice from a financial professional or your IRA custodian regarding your RMD, the IRS might be willing to cut you a break. Roth accounts are exempt. If you own a Roth IRA, you don’t need to take an RMD. If, however, you own a Roth 401(k) the same RMD rules apply as for non-Roth 401(k)s, the difference being that distributions from the Roth account will be tax free. One way to avoid having to take RMDs from a Roth 401(k) is to roll the balance over into a Roth IRA. Everything you need to know about retirement account RMDs can be found in IRS Publication 590-B, including the life expectancy tables you’ll need to figure out your RMD amount. Your financial and tax professionals can also help you determine your RMD. The information in this communication is not intended to be tax advice. Each individual’s tax situation is different. You should consult with your tax professional to discuss your personal situation.